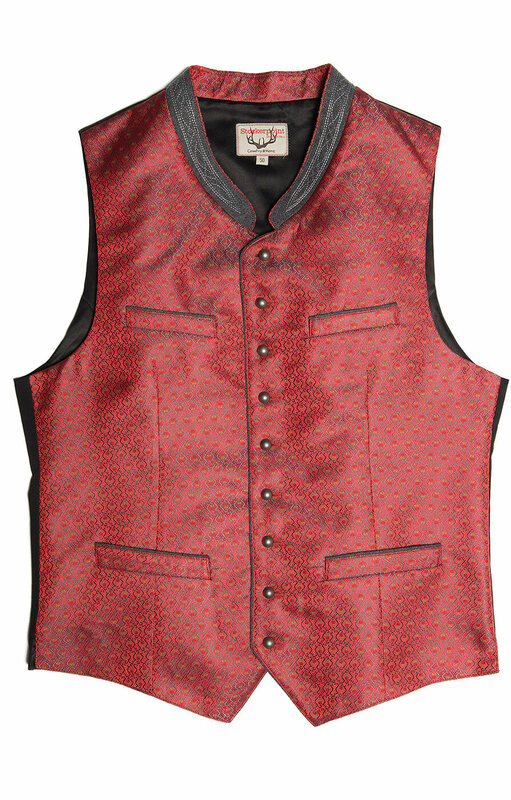 Arnie men’s traditional red waistcoat. 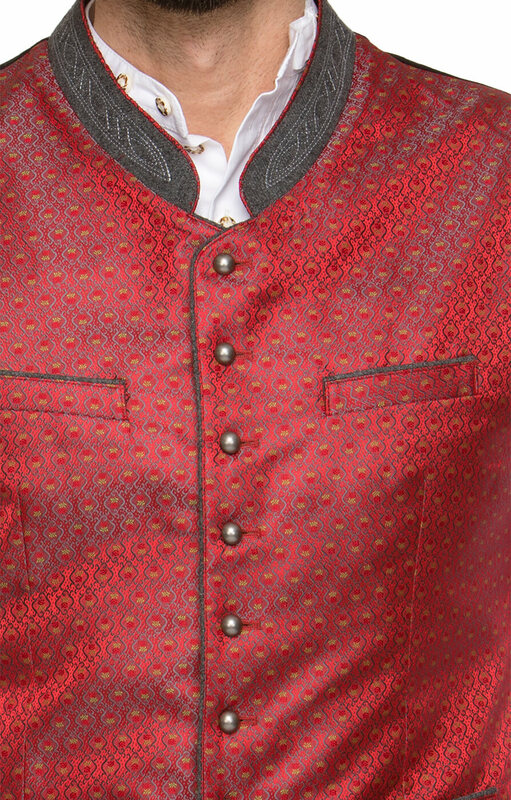 This bright and bold red waistcoat is stamped with a subtle gold pattern and has been made from 100% polyester and boasts two pockets at the top and another two near the waist. 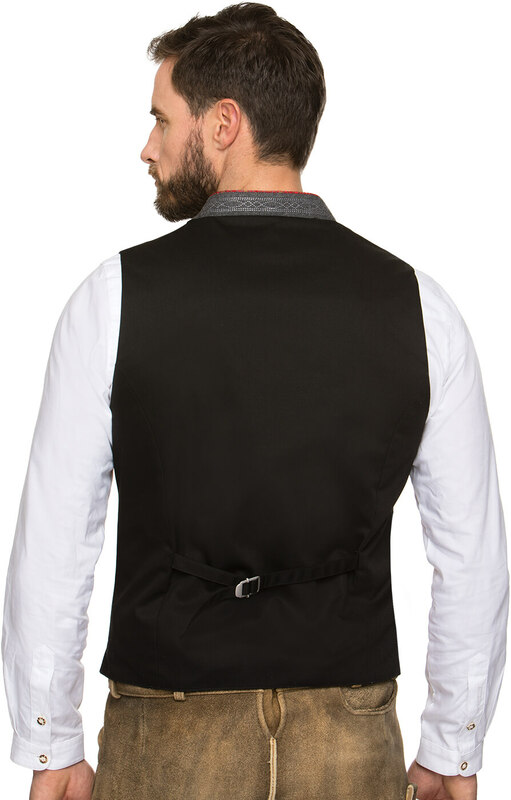 The black high collar provides an eye-catching contrast, while touches of original Trachten fashion are provided by the round metals buttons running down the front. Die Trachtenweste ist sehr schön verarbeitet. 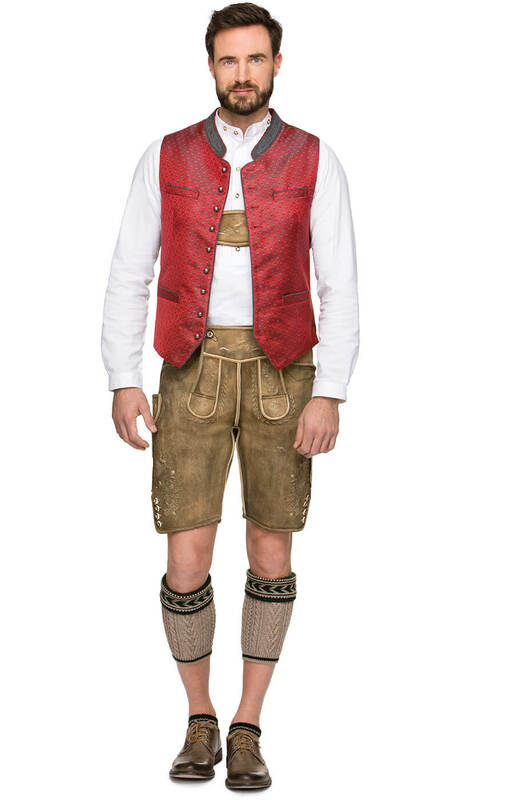 Passt wie angegossen. 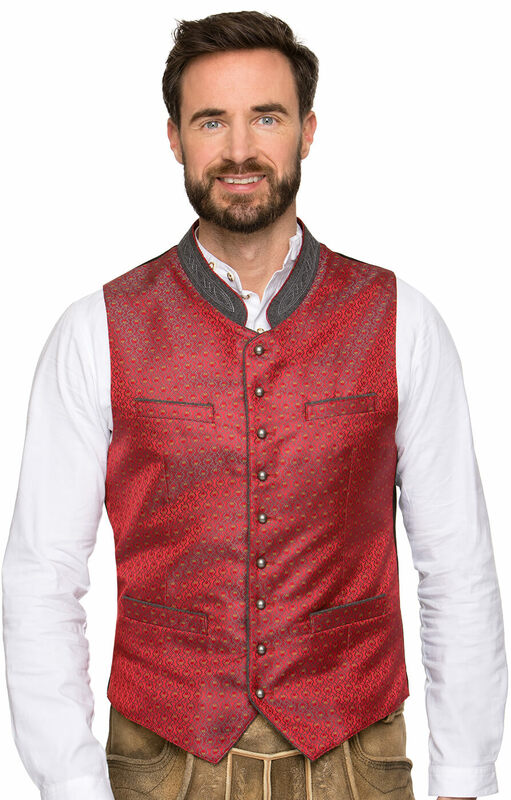 Eine exklusive Weste ist sehr hochwertig in bester Qualitaet sowie exzellenter Schneider -Kunst. Beste Passform.